If you are a nursing student and you would like to spend your summer gaining experience in your field and earning money, the list of 10 best paying summer jobs for nursing students is excellent for you. We know that when you are a student you want to earn money during summer badly, and often you don’t think about combining the job with your studies, since the main focus is getting the salary by the end of the month. In that case, there is a list of 10 Best Paying Outdoor Summer Jobs for College Students that can be very much useful. However, if you are a nursing student, there are many possibilities to find a suitable job during summer, so you don’t need to focus on anything outside your field of study. No matter what you study, gaining experience before graduation is probably the best thing you can do for yourself, since it may help you in searching for the job eventually and it will definitely single you out from all of your fellow colleagues. Eventually, you may be the best student, with the highest grades, but until you start applying the knowledge, you may still be very insecure regarding some things. It is why it is of a huge importance for all of the nursing students to motivate themselves and to start searching for summer jobs. In general, everything you need to do at this point is to make your professional resume and to write a good motivational letter, explaining the reasons why you would like to get the particular job and how you can contribute and make a positive impact while working. Getting a CNA certificate can also be very much useful and it is highly recommended, since it will enlarge your job opportunities. The rest was definitely our job, since we really buckled down to provide you with amazing ideas about various jobs that you can do during summer. Of course, we could not do it by ourselves, so we consulted several websites, and among them, the most useful were All Nurses, Gap Medics and Nurse Together. Reddit users also had plenty of interesting suggestions, so we took them into consideration as well. Since our list concerns best paid jobs, our main focus was definitely on the amount of money you may earn by working, and that is how the jobs are classified eventually. However, you need to be aware that most of these jobs may also be full-time jobs throughout the whole year, but since it is summer, there must be some hospitals that will be willing to give you the job while some of their employees are on holidays. 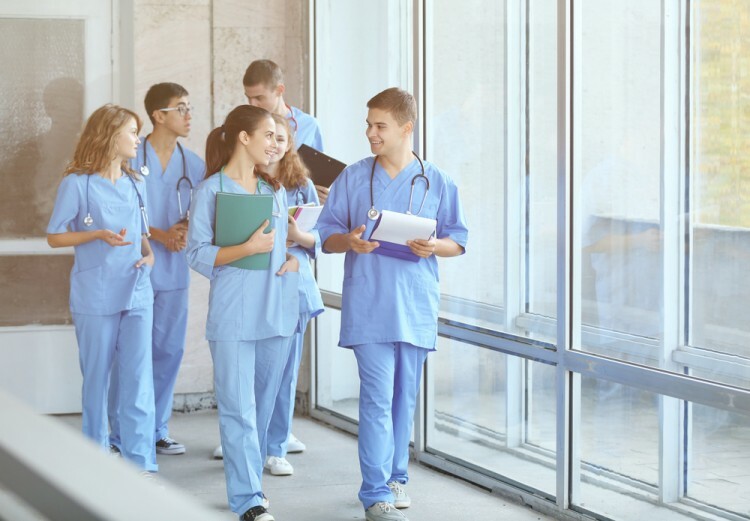 So, get ready to read the best ideas on how to spend your summer productively, earning some money while gaining relevant experience, with our list of 10 best paying summer jobs for nursing students. 10 Best Paying Outdoor Summer Jobs for College Students 10 Best Paying Summer Jobs for Nursing Students best paying jobs for nursing students care giver job for nursing students care giver summer job dietary aide job for for nursing students dietary aide summer job emt job for nursing students emt summer job environmental services job for nursing students environmental services tech summer job finding a summer job during nursing stuides highest paying summer jobs for nursing student home health aide job for nursing students home health aide summer job hospital jobs for pre nursing students job opportunities for nursing students jobs for nursing students while in school List XFinance monitor technician job for nursing students monitor technician jobs monitor technician summer job nursing assistant job for nursing students nursing assistant summer job nursing student summer opportunities part time jobs for nursing students phlebotomist job for nursing students phlebotomist summer job Slideshow summer camp nurse assistant summer camp nursing assistant job summer camp nursing assistant job for nursing students transporter job for nursing students transporter summer job what can a nursing student do during summer?